Item: 20% vitamin C Hyaluronic Acid Serum. 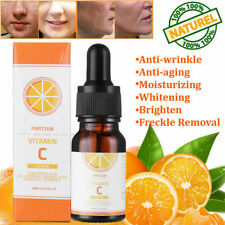 Vitamin C serum has the Anti Aging power of Vitamin C E Jojoba Oil Hyaluronic Acid. 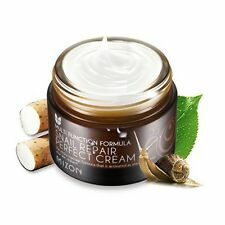 Main Ingredients:20% vitamin C ,Hyaluronic Acid,Jojoba Oil,Organic Aloe,Vitamin E.
Mizon - Snail Repair Perfect Cream 50ml. Synergy effect of snail and yam! Tip : More elastic if you use sticky massage that stretches ouy as you tap. Apply onto the skin as you dap for better absorption at the last step of skin care. 180ml / All Skin Types / Made in Korea. After washing > toner > emulsion > Eye Cream > Cream. How to use. All Skin Type. [G9SKIN] Pink Blur Hydrogel Eye Patch 100g. 100g (120pcs). Attach eye patch using enclosed hygiene spoon. Different size and shape cut multi patch that are easy to use on forehead, eyeside, slanted part. [INNISFREE] Jeju Orchid Enriched Cream 5ml 3pcs [Sample]. It is intensive concentrated anti-aging ampoule cream that improves wrinkles and brightens complexion. All Skin Type. Product Info. Take a proper amount and apply it over the skin properly. Freshness: The content of the raw material produced in one year. pH level: This is a slightly acidic product with a pH of 5.31. Product Info. Gently tapping in until well absorbed. Select the appropriate size of the acne patch on the acne, gently press the edge, close to the skin;. When the color of the acne cream is unchanged, it is no longer necessary to replace, and the acne wound is healed. The Corn-mint extract instantly cools and hydrates your skin to help your pore to shrink. 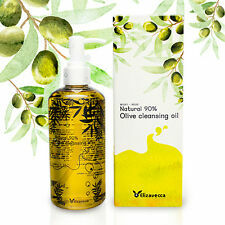 Can be used as cleansing toner in the morning and balancing toner at night. Made in Korea. Take an appropriate amount and gently spread. As the patch turns white, replace it with new one. Product info. Hydrocolloid protects wounds from dust and viruses in the air. Low irritation. Remove the film and stick on the target area. (Do not use lotion or other products before use.). After essence, apply moderate amount on the skin and spread it gently. After applying science, apply appropriate amount on the skin and spread it gently as massaging. How to use. Made up of 2,500㎎ of marine collagen and vitamin scrub. After applying the toner, take out the approariate amount. Also contains vitamin E and Ferulic Acid, used to extend the life and effectiveness of vitamin C. We use a 20% concentration of L-ascorbic acid for maximum benefit. Ingredients: Water, Ethoxydiglycol, L-Ascorbic Acid, Propylene Glycol, Alpha Tocopherol, Polysorbate 80, Panthenol, Ferulic Acid, Sodium Hyaluronate, Benzylalcohol, Dehydroacetic Acid. All Skin Type. Product Info. Can be used to remove blackhead, acne and clean face deeply and it is suitable for treating dry skin, sagging skin, dull skin and also wrinkles, increasing blood circulation in the skin. Vacuum function cleans dirty pores through suction and increases blood circulation in the skin. Rohto Hadalabo 極潤 Gokujyun. Hadalabo (Hada Labo) Gokujyun. It's a language barrier. Do not confuse this is a lotion. Seeds, and beans to make a transparent and vital skin. Contains the extracts of 8 beans that contain rich isoflavone and phoshatide to raise elasticity and soften the wrinkle. Product Info. Face except the eye and the mouth area evenly and let it absorb then sleep. How to use. Sixty years later it is now a legend with millions of devotees around the world. It acts as a nourishing sap providing skin with essential nutrients leaving it healthy, soft and toned, plumped and visibly smoothed. SHISEIDO SENKA. 120g(4.23oz US). Perfect whip Face Cleansing Foam. Naturally derived silk essence and W hyaluronic acid blended. While protecting the important skin, clean up the dirt of the pores deeply. BUY 2 GET 1 FREE INTRODUCTORY OFFER!!! The Chok Chok Green Tea Watery Cream - 60ml. HOW TO USE. The rose water essence concentrates on solving skin troubles. Hypo-allergenic essence that does not stimulate the sensitive skin. Soak a cotton pad, wipe smoothly, and pat gently to absorb. Minimum ingredients care the skin without harming the skin. Calming Toner 200ml. Portulaca Oleracea Extract. Witch Hazel Extract. after cleansing apply a moderate amount of this toner to your hands or cotton pad and spread it out along the. skin layer gently feeling like you are wiping it out. PURITO ABP Triple Synergy Liquid 160ml. Suitable for sensitive Skin. Video will open in a new window. HOW TO USE. It has cooling, soothing and emollient properties which are useful in relieving burning sensation and pruritus and make the skin soft and supple. Clarina also has astringent properties. HIMALAYA Clarina Cream Against Acne & Blemish 30g Care for imperfections. It boosts antioxidant activity at the site of wounds, strengthening the skin and increasing blood circulation. After cleansing the skin with toner, take suitable amount of the cream, then tap lightly to let it absorbed.